Love finding new ways to enjoy time in the low country while we’re on pickle deliveries and wanted to share what we did last night during our stay on Hilton Head Island! 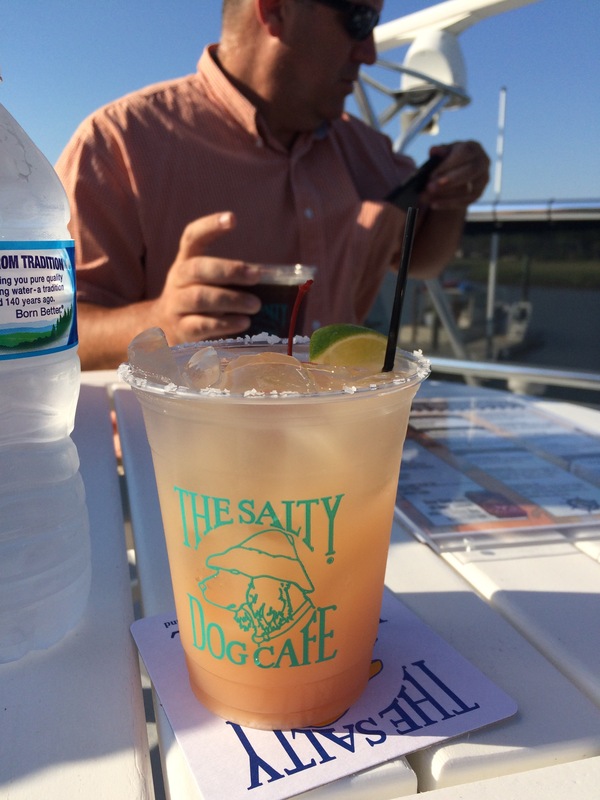 The Salty Dog Cafe has a sunset cruise that departs from the South Beach Marina each evening at 6:30. Their double decker catamaran serves cocktails, beer and yummy bar food. 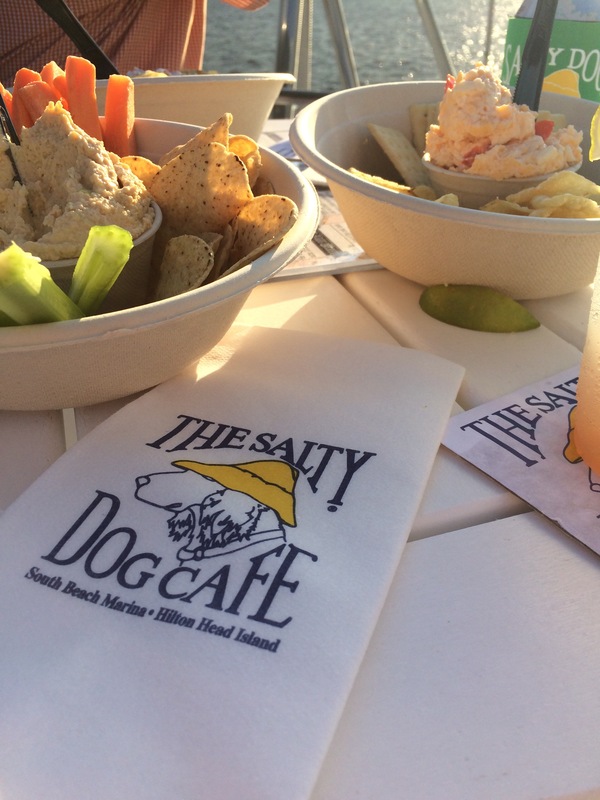 We enjoyed bowls of pimento cheese, hummus and a seafood dip with fresh veggies, crackers and kettle chips …& a few Salty Dog cocktails! I recommend getting a seat on the top deck for the best views and to catch the breeze. The views of the marsh, the dolphins, Daufuskie Island and the gorgeous sunset were beautiful and never get old! 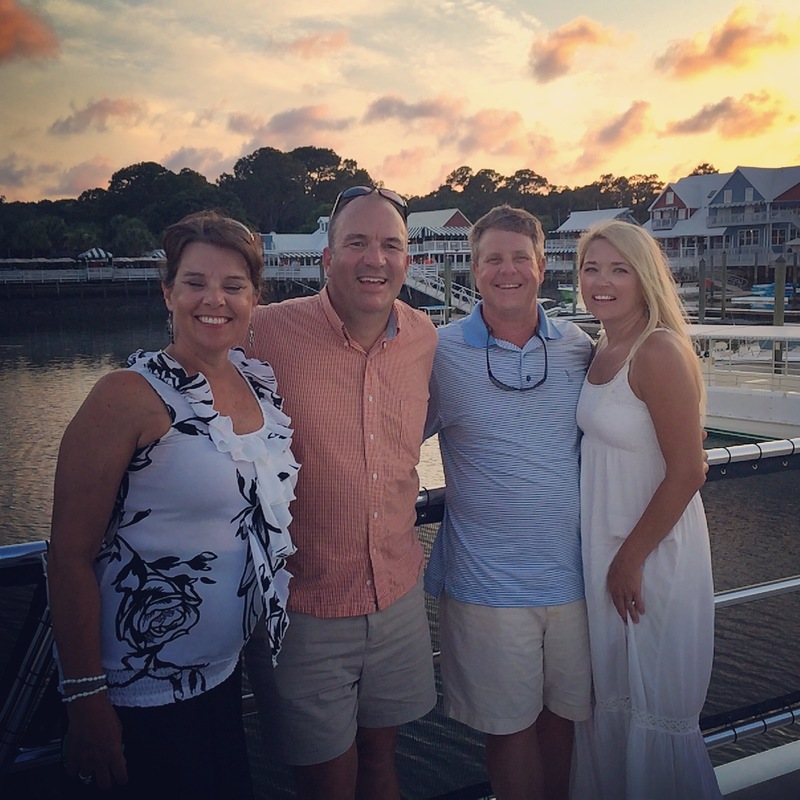 We arrived back at the marina just in time for a sunset picture with our friends who are Hilton Head Island locals. Have PHUN, friends and thanks for eating PHICKLES PICKLES!